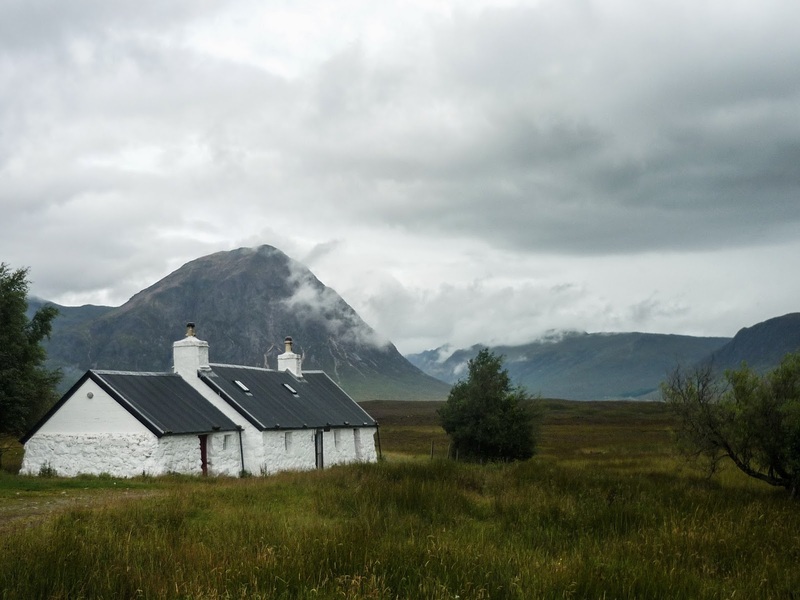 So, you're considering doing the West Highland Way (WHW)? Why? This is really the first question you should be asking yourself in my opinion. It is a great route but any research into it will immediately reveal that it is exceptionally busy during the summer months. With the availability of much less frequented and equally stunning long distance hiking routes throughout Scotland (see alternatives section below), it's definitely a question worth asking yourself. Rather than discuss this too much, I will simply state what I felt were the pro and cons on doing the route then give an overview in the subsequent sections of recommendations on how we think you should tackle it to be successful (based on numerous successful and not so successful trips). The overall route is 96 miles (154 Km) and traces a line from Milngavie on the outskirts of Glasgow, through the Trossachs and Glen Coe all the way to Fort William. Good information on the route itself can be found on the official route Webpage and Walkhighlands. A short summary of the timings and an idea of stages is presented in the table below. *Note that the timings are for a fit person walking fast with a light pack. For a heavy bag, low fitness levels or both, expect to easily add 50% - 100% to the times taken. 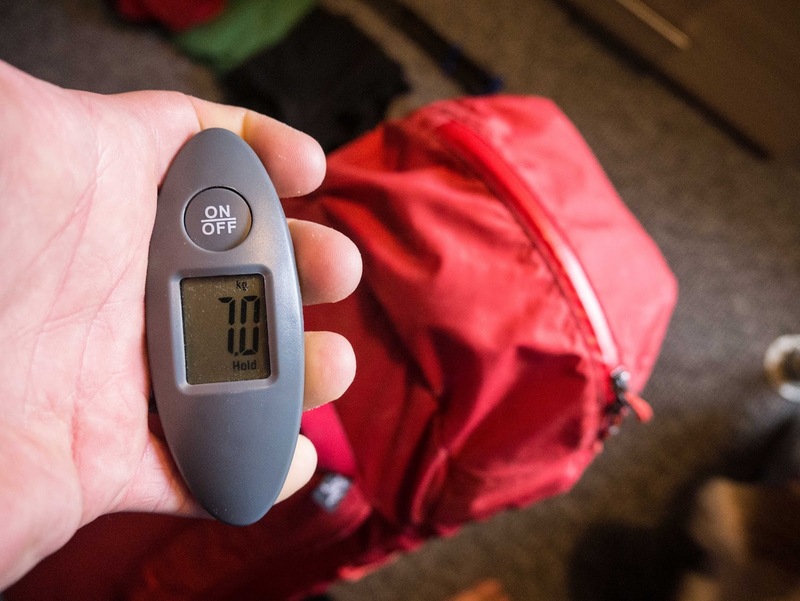 The decision of how many days to do it in, whether to carry all your own kit and camp, have you bags carried and camp or stay in bunkhouses/hotels or a mix of it all will be a personal one and depend on your accepted level of comforts and experience. With the increasing popularity of the route, it is increasingly (can it get more?) difficult to book accommodation in the summer months which means camping or doing it slightly out of season (April is my favourite time, quiet, cool and no midgies) if the bunkhouse/hotel option is your thing. Finding spaces at campsites shouldn't be a problem and most if not all don't require booking. The cheapest and in my opinion purest way of doing it is still to wild camp the whole way (mind the new bye-laws around Loch Lomond). 3 Days - Very hard work - 33 mile days are very long. 5 Days - More comfortable but still hard especially with a big bag. This is the bit all gear freaks such as ourselves love to talk about. Realistically with the WHW, the route finding is straightforward, the bailout options are plentiful and as long as you're moderately active, fitness won't be an issue to the bit that we think should be focussed on in planning the route should be getting the kit weight down to a bare minimum. The kit we've highlighted below is what we would personally bring for an 'ultra' light attempt at doing the route with sacrificing on some comforts (this is the kit we took on a 48 hour walking attempt on the WHW which unfortunately failed due to an old ankle injury). This is obviously a personal thing so you should consider how relevant the kit is to you and make your own decisions. 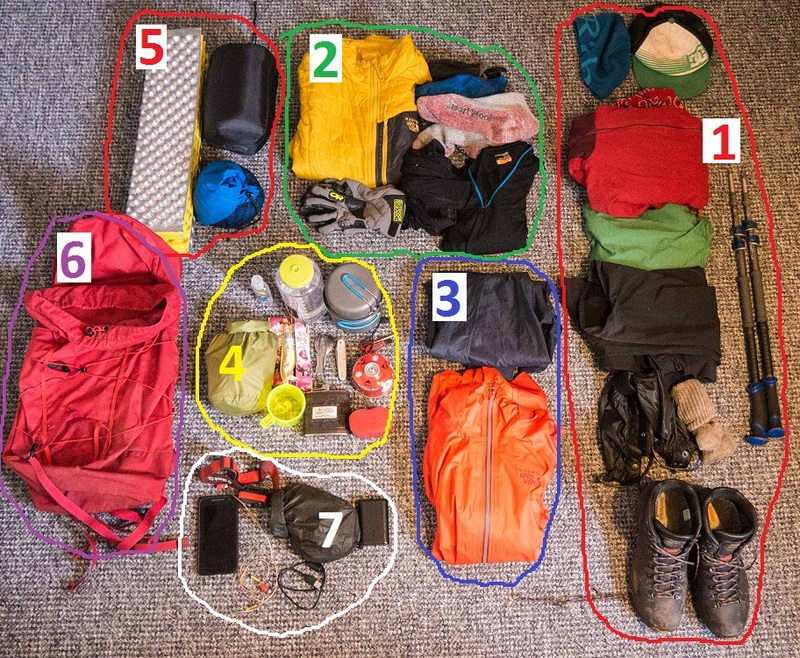 The two bits of kit we would urge anyone copying the kit we've highlighted here to really consider changing would be the sleep system (5 in the photo below) and the shoe selection. The sleep system is an easy one, if you're planning on spending more than 2 days doing the route and camping the whole way, bring a tent and a more comfortable mat than the one we've shown below. A tent should ideally be under 2kg if it's being shared between two people and maybe lighter for a 1 man. For the mat, we'd recommend bringing an inflatable type (>3cm if possible). Shoes/boots are a contentious item which can lead to endless debate, our view is that if carrying any substantial load (>12kg), boots are best, otherwise, stick to trainers (i.e. trail shoes or light approach shoes). The route is long and on hard packed terrain to boots which are too stiff will give you a hard time, trust me, I did it in B2s the first time I did it.... The one thing to really make sure of is that whatever choice of footwear you decide to go with has been properly broken in and tested as long distance walking is mostly about robustness rather than pure fitness. Baseball cap - Good for keeping the rain off your face with jacket hood up or midgies away with the midgie net on. Light Fleece - Rab Alpha Flux - Good for walking in when it's fresher. Baselayer T-shirt - Icebreaker Tech Lite Short Sleeve - Quick wicking and doesn't smell much. Softshell trousers - Mountain Hardware Warlow - Breathable but keeps the weather off. Short gaiters - Keeps crap out of the boots. Not that necessary. Merino hiking socks - Good for preventing blisters, can be worn for multiple days. Walking poles - Black Diamond Trail Pro - Takes some weight off the knees. Insulated layer - Mountain Hardware thermostatic - For night time warmth. Gloves - OR Lodestar Gloves - If it gets cool at night. Lightweight hardshell jacket - Mountain Hardware Hyaction Jacket - Light to carry. Stove - MSR Pocket Rocket - Light and effective. Snacks and food - whatever your preferences are. Ground Mat - Thermarest Z Lite SOL (cut into 2/3 length) - Recommend using an inflatable if you want to be comfortable. Rucksack - Arcteryx Cierzo 25L - For multi-day route, we would recommend getting a 35-40L bag (i.e. Deuter 35+, we've done it before with this and been comfortable) and being strict enough with what you're bringing to not overfill it. It is entirely possible and you'll thank us later. Cash + Ziplock bag - Don't bring a full wallet. Don't carry too much water! 1L is generally enough if you've scoped out all the places you can fill up beforehand. A lot of burns and streams will be fine for cooking from (check the source). Don't carry too much! If you're going anywhere above 10kg, think again about what you're bringing. Do your research beforehand - a lot of information is available with a quick google search. Plan your route before you go. Have contingency in place if certain days take longer than expected. The North of Loch Lomond is slow going. Bring a bar of nice chocolate and reserve it for when things fall apart within your party. When they do, sit down, chill out and enjoy the chocolate.